Finding the right solution fast. A few key steps with a committed team can lead to a successful outcome. While supporting our clients in technology vendor selection, we find that many companies have limited time and resources to spend performing due diligence through a formal, “deep-dive” selection process. They want to move fast, but still want to select the solution that meets their requirements and fits with the IT technology strategy. If you find yourself in that situation, fear not—you can find a good fit and manage your risks. Selecting a technology vendor in today’s market can be complicated. You can’t skip the whole process (see sidebar, “Rigorous Process Steps in Technology Vendor Selection”) and expect to be happy with the results. You need to do some due diligence and you don’t want individual opinions, experience, or emotion to determine your path. A few key steps with a crossfunctional core team of invested contact center and IT leaders can lead to a successful outcome. Even if you are only talking to one vendor (which we certainly wouldn’t recommend), they have to have a clear picture of your requirements or you will end up with pricing that doesn’t include all the components and licenses you need and an incomplete or generic statement of work (SOW). Defining requirements can sometimes be the most challenging step in the process and therefore the easiest to skip in the interest of time. However, documented requirements can be brief with a targeted focus. We aren’t talking about a full-blown, 50-page request for proposal (RFP). Five to 10 pages can cover the critical items in your procurement. The key to remember is that many features/functions are commodities across all vendors, so don’t bother documenting the basics. Focus on requirements that are critical to your operational and technical goals and plans. Begin by defining why the new technology is important and the challenges you are overcoming. Think about the operational gaps that you must fill. Consider the technical requirements that will meet IT standards. Define your expectations and the vendor’s role in implementation and support. Clearly define scope and the numbers for licenses and duration of the agreement (especially for cloud solutions) to make sure you get accurate, apples-to-apples pricing. Keep yourself in check by remembering that new technology is not a panacea for everything that ails you. It must be accompanied by a corresponding commitment to process change and resources to get full value. First, determine the sourcing approach that fits your business requirements and IT strategy for new technology. (See Figure 1.) 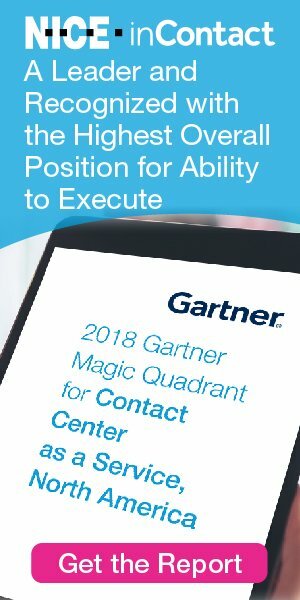 Are you interested in cloud or hosted solutions? We define cloud as a multitenant solution in the vendor’s (or their partner’s) data center(s) where you pay on a license fee basis (typically monthly). Hosted refers to a single-tenant solution and is typically located at the vendor’s or their partner’s data center(s) but could be located in your data center(s). With hosted solutions, ownership remains with the provider, and you pay periodic license fees. Premise refers to a solution that you own and which is located in your data center(s). Hybrid solutions, often driven by security requirements, let you retain control of the location of your data. The decision about sourcing is typically based on IT resources available to support a new solution and operation’s desire for deeper involvement in the solution. Sometimes sourcing decisions are based on a push by C-level executives to migrate from capital expenses to operational expenses, or a desire to move contact center technology support to a third party. That link between sourcing and support decisions takes us to the second box in Figure 1. Will internal IT provide Level 1 (or more) support? Which levels of support do you expect the vendorVAR to provide, and who will do which? Do you want the vendorVAR to provide total administrative and maintenance support as a managed service? Vendor strategy is another key factor, and one you don’t control. Strategy defines whether they sell direct or through VARs, which sourcing and support options they offer direct and through partners, and which market sizes they target (and potentially which products for which markets). You must consider their strategy, along with your preferences for sourcing and support, to find the right vendors and/or VARs to evaluate. Evaluation criteria are not the same as requirements. Throughout the process, you will be using evaluation criteria to distinguish one vendor from another based on what really matters to you. Requirements help the vendor understand your needs so they know what to propose; criteria differentiate and evaluate vendor responses. We suggest you define criteria as categories like FeaturesFunctions, Technical Fit, Implementation, Support, Vendor Fit and Price. Then define the categories with a few bullets. For example, within the Technical Fit category, the key points might be an ActiveActive redundant architecture and proven integration with your CRM. Use the criteria to compare vendors and as the basis for scoring. It is relatively easy to weight and score five to seven differentiating categories; rating individual requirements within each category is an exercise in futility. Research the market and get vendor presentations to understand your options and make sense of market complexities. Determine if the scope of your requirements can be met by individual vendors. When your requirements include combinations such as PBX and ACD, ACD and WFO, core contact center technology and CRM, or IVR and web self-service, you may need a combination of providers (vendors and/or VARS). Work with vendors to identify their partners that have the right characteristics (size, geography, industry, focus on similar solutions, etc.). If “one throat to choke” is one of your goals, make sure the vendors or VARs under consideration can address your scope with the right sourcing and support options. The role your incumbent vendor/VAR will play is one of the big decisions at this point in the process. Will you give them the opportunity to bid? If you are dissatisfied, determine if it is the technology or the services (or both!) causing the problem, and the root cause. You could be blaming the technology but perhaps haven’t upgraded, or a lack of clarity in roles and responsibilities among your internal IT, the VAR and the vendor could look like service issues that are fixable with a better agreement and vendor management. Take an honest look at the issues and determine if the vendor’s current solutions are worth considering, and if so, the best delivery channel for your requirements. Distribute the targeted requirements in an RFP (Request for Proposal), not an RFI. RFIs (Requests for Information) can give vendors a green light to present a generic marketing overview, while vaguely or incompletely addressing costs in a “budgetary” estimate. RFPs inform the vendors that you are getting competitive bids and serious about buying. Specify how you want the proposal structured. Make it clear you don’t want “boilerplate” long responses. Most importantly, specify how you want the pricing structured and at what granularity. All this guidance will get you to a timely response and apples-to-apples comparison. You create and drive the agenda; don’t let vendorsVARs take over or do a generic marketing presentation. Provide an agenda that includes demos of key user interfaces, technical discussion to address IT needs, and a list of questions that need to be addressed about implementation, support, SLAs, pricing, etc. Ensure that vendorsVARs cover all of your team’s questions based on the proposed solution. Leave “optional items” until the end. This is the one opportunity the vendor/VAR will have to answer your questions, so make sure they come prepared. Select the VendorVAR based on defined criteria. Use criteria and scoring at a level of detail necessary for your company to be able to defend your requirements, SOW, pricing, and selection. Work with your preferred vendor to ensure everything is included and minimize the risk of add-onschange orders. Iterate and negotiate as needed, and use the competing bids as leverage where appropriate (e.g., “We like you best but your price is X% higher than others…”). Don’t forget the final step to nail down contracts, SOWs and SLAs. Given your desire to minimize time and resources involved in the vendor selection process, it is more important than ever to adhere to a few steps that will lead to success. Stay in the driver’s seat. Don’t let the vendor take control, or they will just tell you they can satisfy all your needs. Keep in mind that you should decide the VAR. Don’t let the vendor dictate. They can suggest, but you need to review and approve. Put tools and processes in place to add objectivity to what is mostly a subjective process. Start with a crossfunctional evaluation team including contact center and IT representatives. Define criteria that really differentiate among the vendors (features/functions, technical fit, implementation, support and the total solution cost) to use with a scoring tool for a complete apples-to-apples solution and pricing comparison. Encourage your whole team to leave emotions at the door. History with a vendor or VAR (both good and bad) can derail an effective process. Don’t be dazzled by a demo or marketing presentation and let that sway your opinion with no connection to requirements. If you’ve ever heard the old saying, “Good, fast, cheap: Pick two,” you know the risk of trying to select a vendor quickly. You don’t want to end up with the wrong choice, and you don’t want to pay too much. While speed introduces some additional risk and can compromise the level of control you have over the vendors and pricing, you can reach a decision that is a good fit in a short amount of time by ensuring that everyone focuses on the right things while considering multiple options. You can turn a 3-4 month process into a 4-6 week process with a committed team that is working together to find the right vendors/VARs and solutions to meet your needs at a fair and competitive price. Brian Hinton is the Principal Consultant for Strategic Contact. The Death of the RFP?